After winning control of the House in 2018, Democratic leaders vowed to get their hands on Donald Trump’s tax returns. They’ve recently made good on that promise by requesting 6 years of the president’s returns. Trump has been reticent to show his tax returns and seems ready to dig his heels in again. 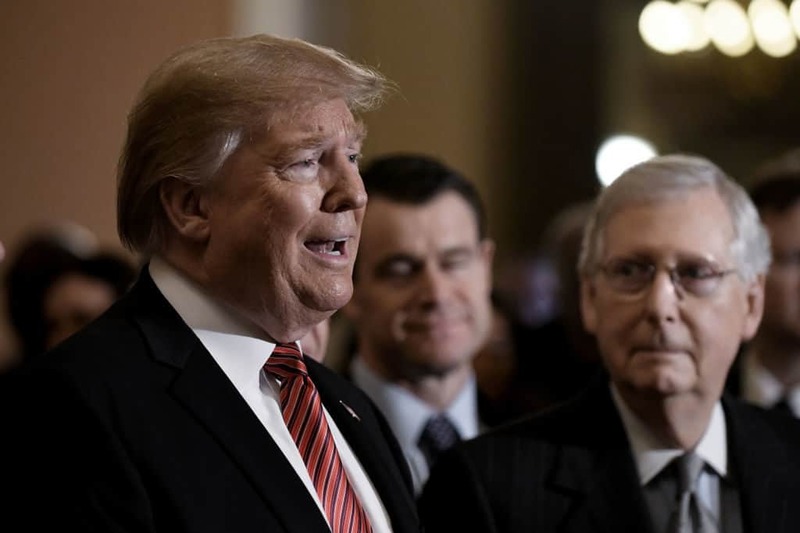 According to the New York Times, Trump asked Mitch McConnell to prioritize the confirmation of an IRS counsel. The counsel is Michael J. Desmond from Santa Barbara, California. The Times says that Trump felt the confirmation of Desmond was even more important than that of Attorney General, William Barr. The president will also rely on some older arguments. Earlier this week, he told reporters he’s, “under audit, despite what people say. We’re working that out. I’m always under audit, it seems.” This is the same argument he used on the campaign trail. The IRS has said that Trump could still release the returns despite being under audit.